This cultural tour from Lhasa to Kathmandu begins from Lhasa - the heart of Tibet, to Tsedang - the "cradle of Tibetan civilization", Gyantse - Tibet`s traditional town and Shigatse - Tibet`s second largest city, and ends at Kathmandu - a golden heaven to the most famous artists in the world. A big feast of colorful landscape and exotic culture has been prepared for you. Upon your arrival at Lhasa airport, and escorted to your hotel in Lhasa. Driving along the Brahmaputra River, you will not only be amazed by the spectacular plateau scenery. If you take the train to Lhasa, normally you will arrive in the late afternoon or evening, 20 minutes drive will take you to your hotel in Lhasa city. Have a good rest to acclimatize the high altitude. In the morning, go to visit the famous Potala palace and explore the grandest of this myriad chapels, you will experience its audience halls, the jeweled and Golden burial chortens (sputa Tombs) of past Dalai Lamas, and tremendous number of Buddhist frescoes, thangkas, combinations of mandala, etc. Tibet Museum is an important window to introduce the glorious culture of Tibet, as a free Museum in Lhasa, you should not miss it. In the afternoon, pay a visit to the holist temple in Tibet, the Johkang Temple, built during Songtsen Gonpo`s reign by princess Wencheng of Tang Dynasty, 647 A.D, and its famous Barkor Kora. Today, you will visit two important monasteries in Lhasa, the Drepung and the Sera. Drepung monastery is situated at the foothill of a mountain and was founded by Jamyang Choeje in 1416. It was once home of 10000 monks and Ganden podrang in Drepung is famous for it was the government centre during the fifth dalai lama and later moved to the famous potala palace during the fifth dalai lama. After having lunch, continue to visit the Sera Monastery, which was founded in 1419 by Tsongkapa`s disciple Jamchen Choeje. The most attractive is its Buddhist Scriptures debating held in the courtyard mostly around 6:00 - 7:30 in the afternoon. Drive about 4 hours to Tsedang in the morning, which is known as the capital of the ancient Yarlung Kingdom. En-route, take a ferry across Yarlung Zangpo River and visit Samye Monastery. The Samye Monastery is the first temple to be built in Tibet and the first complete with the three Buddhist jewels of Buddha, Dharma and Sangha. With these unique features, this splendid temple has become an attraction for visitors from near and far. Then continue to Tsedang. Drive 7kms to visit Yambulakhang Palace, the first building of Tibet which is built in 2nd century for Tibetan Kings. It sites on a summit of a small hill on the east bank of the Yarlung River. Then drive to see the burial tombs of Tibetan Kings. 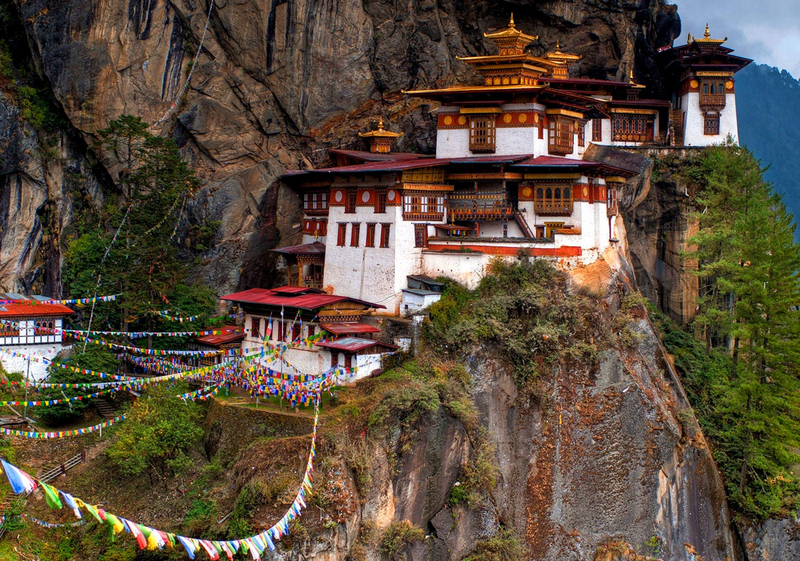 We will also pay a visit to Trundruk Monastery in the afternoon. Drive about 300km to Gyantse. Passing by the green farmland of Nyangchu Valley, Yamdrok lake, Karo-la glacier roadside at 4960m, we move westwards to the traditional Tibet town, Gyantse. The most important attraction for today is Yamdro-tso Lake and Kubum monastery in Gyantse. From the top of the pass Kangpa-la at 4700m high in clear weather, you can see the fabulous shade of deep turquoise Yamdrok Lake. Kubum monastery has a 35m-high chorten (stupa) with its white layers trimmed with decorative stripes and its crown-like golden dome. After breakfast, drive to Shigtse to visit the largest Monastery in west Tibet, the Tashilunpo monastery. Tashilunpo monastery is one of the the six great Gelukpa institutions and was founded in 1447 by a disciple of Tsongkapa, containing the world`s largest gilded copper image (26m high) of future god Jampa. 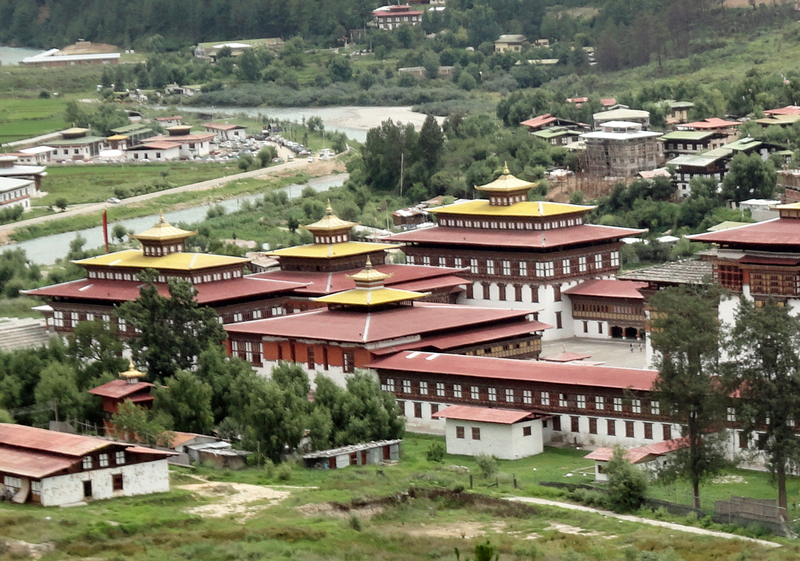 Keep driving to visit Sakya Monastery. The most interesting thing in Sakya sect is that the sect do not believe in reincarnation and the head of Sakya sect will wear white cassock and also marry to give birth to their children. Driving to Zhangmu. we`ll pass Mount Shishapangma (26,286 feet) on the way and cross two major passes - the Lalung La (16,811 feet) and the Nyalam Ton La, also known as the "pass to hell at 17,060 feet. Below Nyalam, the road descends steeply into the river valley of the Bhote Kosi. The flourishing border town of Zhangmu (or Dram) clings to the mountainside with the highway crisscrossing between homes and storefronts. Our Guide will drop you off at next morning at the border bridge. You are kindly required to walk on your own to cross the border bridge which is 50m long, then check in Nepal side. You can get the Nepal visa upon arrival with 30USD, please prepare one photo at passport size to get Nepal Visa. The next step, the Nepal tour guide will go cross the border bridge to China side which is 50m long to meet you, then you follow the Nepal tour guide to check in Nepal side, and then drive you to your hotel in Kathmandu. In the morning, visit Kathmandu Durbar Square and Swayambhunath, and visit Patan City in the afternoon. Kathmandu`s Durbar Square: one of three durbar (royal palace) squares in the Kathmandu Valley. It is the site of the Hanuman Dhoka Palace Complex, which was the royal Nepalese residence until the 19th century and where important ceremonies, such as the coronation of the Nepalese monarch, still take place today. Swayambhunath: the golden spire of the 5th-century Swayambhu stupa is adorned with a colourful fluttering of prayer flags; it crowns a hill overlooking the Kathmandu Valley and offers fantastic views over the city of Kathmandu. Swayambhunath is one of the most recognizable symbols in Nepal and the painted eyes of Buddha watch all who ascend the worn stone steps. It is a World Heritage Site and one of the holiest Buddhist sites in Nepal, and is at the source of the Valley`s mythical beginning. Patan City: Patan is 15 minutes drive from Kathmandu. Lalitpur, the city of beauty is separated from Kathmandu only by the Bagmati River and is the second largest town in the valley. Lalitpur is fragmented from other cities due to its substantive architectural ancient masterpieces. Patan`s central Durbar Square is absolutely packed with temples: It`s an architectural center point with a far greater concentration of temples per sq. meter than in Kathamandu or Bhaktapur. After breakfast, go to visit Pashupatinath and Bodhnath City, then visit Bhaktapur City in the afternoon. Pashupatinath: Not only is Pashupatinath the most important Hindu temple in Nepal, its one of the most important Shiva temples on the subcontinent and draws numerous devotees from all over India each year. Pashupati is considered to have a special concern for the kingdom of Nepal. Pashupatinath, an ancient plinth, by the banks of the holy Bagmati River, stands the 16th century of Pashupatinath - Shiva, as Lord of all Creatures. Bouddhanath: It is among the largest stupas in South Asia, and it has become the focal point of Tibetan Buddhism in Nepal. The white mound looms thirty-six meters overhead. The stupa is located on the ancient trade route to Tibet, and Tibetan merchants rested and offered prayers here for many centuries. It is alsoe the best place in the Valley to observe Tibetan lifestyle. 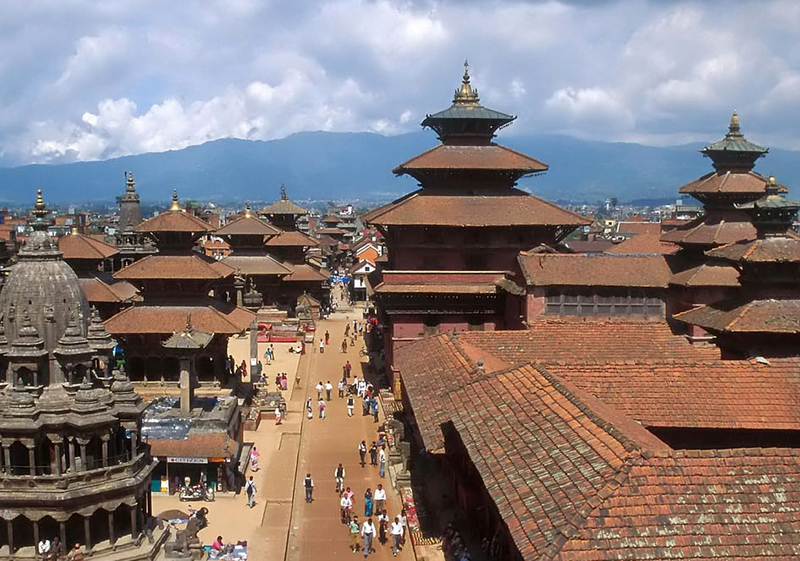 Bhaktapur City: Bhaktapur Durbar Square is a conglomeration of pagoda and shikhara style temples grouped around a fifty-five window palace of brick and wood. The square is one of the most charming architectural showpieces of the Valley as it highlights the ancient arts of Nepal. The golden effigies of kings perched on the top of stone monoliths, the guardian deities looking out from their sanctuaries, the wood carvings in every place-struts, lintels, uprights, tympanums, gateways and windows, all seem to form a well orchestrated symphony. Breakfast at Hotel. See the sunrise and spectacular view of snow mountains and drive from Nagarkot straight to Pokhara by private car and overnight in Pokhara. Nagarkot: Situated about 35 km east of Kathmandu city, Nagarkot is the nearest panoramic view point and from here one can see the beautiful view of the Himalayan peaks. Nagarkot is located between Kathmandu valley in the west and Indrawati in the east. The top of Nagarkot commands accelerating views in all directions. The altitude of Nagarkot is 2229-m/7133 ft. above sea level. Eve: Walk around Nagarkot for 1-2 hours. Sunset View Over the Himalayas - Weather permitting. Pokhara sunrise early in the morning and City tour (Sarangkot for sunrise, Devi`s Falls, Caves, Tibetan Refugee Camp, Old Pokhara Bazaar, view of Mt. Annapurna Himal, Barahi Temple and Seti River) and return to hotel in Pokhara. Pokhara is a beautiful valley which is situated at a height of 2950 ft. with its rare combination of snow clad peaks among the highest in the world, crystal-clear lakes, stream and gorges, picturesque villages inhabited by friendly smiling Gurungs, Magars and other ethnic tribes. The scenery is breathtaking with excellent views of an overwhelmingly beautiful mountain range which includes the Dhaulagiri, The Annapurna I, II & III, Machha Puchhre or -Fish Tail-, Lamjung Himal, Manaslu & Himalchuli. In Pokhara`s immediate neighborhood are Tibetan villages. Legend has it that there was once a beautiful city in the valley now filled by the lake. One of the most popular excursions is to paddle out the little island offshore from lakeside. On this island there is a small temple. Also visit Local Market, Bindebasini Temple, Mahendra cave, Phewa lake, Tibetan refugee Camp, Davis fall. After breakfast drive back to Kathmandu. Transfer to hotel and overnight.